First of all, I’m a Cinderella-story fanatic. Second of all, I love retellings. So putting them together is BIG for me. Ironically, Geekerella didn’t click well with me, so my feeling is pretty much so-so. I’ve never felt so confused in my life. Everyone (and by this, I mean my bookish friends in and outside social media) is in love with this book. I’m feeling like a villain right now. Hmmmmm. After a debate with myself, I’ve come to share my unpopular opinion. Danielle “Elle” Wittimer has known everything that needs to be known in the classic sci-fi movie series, Starfield. Almost all of her life, she binge-watch it with her dad, until he got caught in an unfortunate accident, leaving Elle with her stepmother, Catherine and stepsisters, Chloe and Calliope. Now, tired of being pushed around in her house, she decides to join a cosplay contest in ExcelsiCon, aiming to win a ticket to L.A. and leave Charleston for good. Meet Darien Freeman, a once ordinary guy who takes pleasure in spending his time attending cons and fanboying over Starfield –well, until he became famous in a movie series, Seaside Cove and fans flock him when spotted. Now, he got casted as Carmindor, the leading character of his favourite series. But fans of the sci-fi movie does not appreciate this and sees him only as a guy trying to look cute for the camera and is ignorant of the movie itself. His reputation in the Starfield community dwindles even more when a certain blogger predicted how pathetic he will be as Carmindor. Huh. Before I start reviewing, let me share with you some Cinderella teen movies that you shouldn’t miss out on, if you’re a Cinderella-story fanatic like I am. So there’s A Cinderella Story, starring Hilary Duff; Another Cinderella Story starring Selena Gomez; Once Upon A Song, starring Lucy Hale; and A Cinderella Story: If The Shoe Fits starring Sofia Carson. ( I haven’t watched the last one yet.) And also, let’s not forget the Cinderella movie, starring Lily James! This one is not a retelling but I just want to mention it in case anyone wants to go binge-watching Cinderella movies. Okay. Now I’m ready to review. 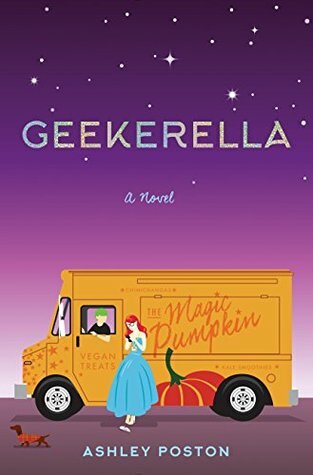 My first thought of reading the first few chapters of Geekerella reminded me of the movie Startruck starring Sterling Knight and Danielle Campbell. It had a similar vibe because of the superstar thing. You should also watch it. I can’t say I love the book, but I did like it and enjoyed my time reading it. The thing that appealed to me was that this book is not only a love letter to geeks, but also, this book is blogger-friendly. I really appreciated that. I also love the title. It sounds so perfect that it makes one grab the book (like I did). In short, it’s very attention-grabbing. Also, the book cover is a cute! It’s one of the books that you would want to be in your shelf where it rightfully belongs, together with your other beautifully covered books. I find the story was part cliche, part unique. Cliche because somewhere out there, I’ve heard this story before. 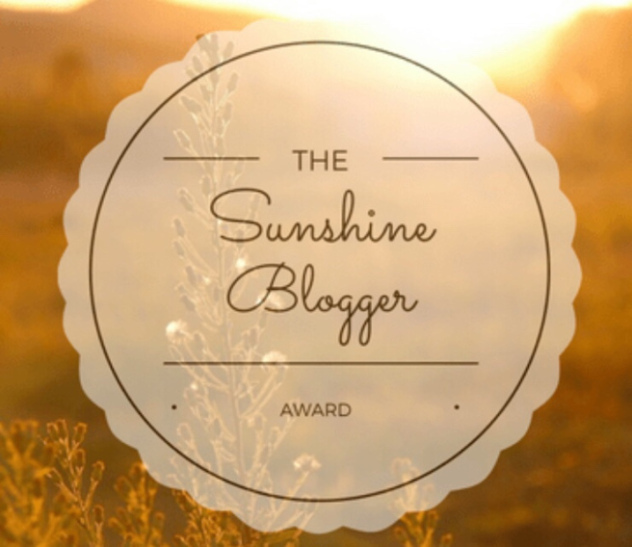 It felt like a potpourri of the Cinderella movies I mentioned above. Also, I’m feeling a bit of a Fangirl by Rainbow Rowell vibe as well. Unique because there’s the nerdy factor that I find adorable: the comic con, the fangirling, and especially the blogging. I mean come on, Surely I’m not the only one enjoying being a nerd/geek. For me, it was a moderately fun read. I repeat, FOR ME. Although not a huge fan of the sci-fi genre, I’m torn between liking and disliking the Starfield movie’s story. IF I were to watch the movie, I know for sure it’s going to be heart-wrenching. However, through Elle’s and/or Darien’s narration, it was difficult to feel something for this movie. FUN FACT: I’ve been reading Darien’s name as “Dar-yen” the whole time when it’s supposed to be “deyr-yen”. Have you read this book? What did you think of it? Let me know in the comments below! Thanks for sharing your reviews with us. 🙂 I’ve seen the book around but haven’t really been interested in it, so I think I’ll skip this one. But since you like Cinderella and retellings, have you read ‘Confessions of an ugly stepsister’ by Gregory Maguire? It’s still a retelling of Cinderella, but from the eyes of one of her stepsisters. A friend of mine highly recommended it, it’s on my immediate TBR. Thank you for your recommendation, Carol. 😀 I have the book sitting on my shelf for quite a long time now but since you highly recommend it, I’m looking forward to reading it soon! I’m not a fan of Star Wars and Star Trek either! Even though I’m a huge fan of the scifi genre 😀 I have this on my TBR for this month and will read it sometime next week. I’ve heard such good things about this one, it’s nice to read a different take. I love retelings so I have high expectations from this 🙂 Lovely review!